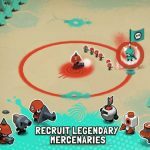 We’ve already given you several Tactile Wars tips and tricks that you can employ when playing this iOS-only war game from Ankama, but as is the case with games of this kind, one set of tips wouldn’t cut it. But before we give you more of these helpful hints, let’s give you a brief recap of what the game is about. 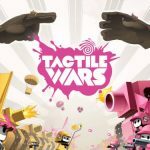 In Tactile Wars, you will be serving as the general of an “army of mini-soldier pigments” with paint guns, and your goal is to capture the other players’ territories by blasting them with paint. 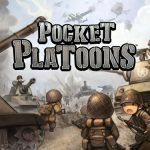 You can make use of a variety of weapons and hire mercenaries for your squad , and make use of tower defense tactics to keep your base safe. Having given you that quick refresher, let’s not waste any more time and get to those tips and tricks for Tactile Wars. There are pros and cons to choosing strong players and not-so-strong players to attack in this game. If you try to beat out a high-ranked player, you’ll invariably have a hard time at it unless you’re of a similar rank, and you’ll have to deal with more obstacles. You will, however, gain better rewards than you would if you’d beat out a lower-ranked player. Low-ranked players, of course, are much easier to beat. Arrow formations are usually the most difficult formations to battle in Tactile Wars. You’re basically asking for trouble if you stay in the middle, so if you believe the troops are coming at you in that arrow formation, it would be best to move quickly to the top or to the bottom so you can take one of the arrows by surprise. Attacking them with a hit-and-run strategy makes sense when you’re dealing with the arrows. We did say last time that it’s best if your troops are as close together to each other as possible, and another benefit of this is that it’ll take opponents much longer to fire at you. When you’re on the attack, it’s also going to be easier for you as long as they’re within range; this formation will allow you to concentrate your firepower for a more purposeful attack. Scrolling sideways in the skills menu will reveal more skills that you can view; many players do not realize this when viewing this menu. A good number of these skills are based on color, though you can still unlock them regardless of your color. Their effects, however, will typically be different. Before attacking an opponent, be sure you’ve got a good idea of what you’re about to get into. Check and see what type of obstacles you’ll be facing – for example, you don’t want to go too close to a geyser lest it explode while you’re nearby. Want to earn more coins and prisms for free? Looking for tips on how to get more medals and gain more XP? 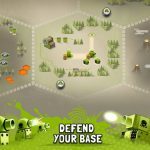 We suggest you to take a look at our additional Tactile Wars guides, as we’ve been sharing some cool tips and tricks on this immersive strategy game here on LevelWinner.